FORD Certified. 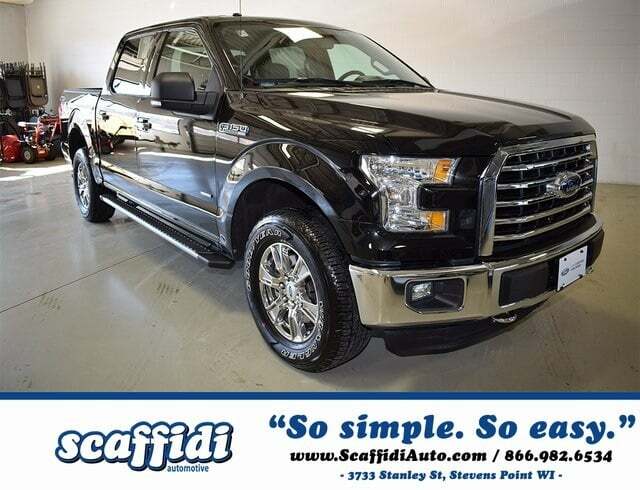 CLEAN VEHICLE HISTORY, ONE OWNER, REAR BACK UP CAMERA, SIRIUS XM, BLUE TOOTH HANDS FREE, TOW PACKAGE, 2.7L V6 EcoBoost, 4WD, 4.2' Productivity Screen in Instrument Cluster, 8-Way Power Driver's Seat, AM/FM radio, Auto-Dimming Rear-View Mirror, Auxiliary Transmission Oil Cooler, CD player, Chrome Billet Style Grille w/Chrome Surround, Chrome Door Tailgate Handles w/Body-Color Bezel, Chrome Step Bars, Class IV Trailer Hitch Receiver, Compass, Equipment Group 301A Mid, Fixed Backlight w/Privacy Glass, Illuminated entry, Leather-Wrapped Steering Wheel, Power Driver/Manual Passenger Lumbar, Power Glass Heated Sideview Mirrors, Power windows, Power-Adjustable Pedals, Radio: Single-CD w/SiriusXM Satellite, Rear Under-Seat Storage, Rear View Camera w/Dynamic Hitch Assist, Rear Window Defroster, Remote keyless entry, Single-Tip Chrome Exhaust, SYNC Voice Recognition Communications, Trailer Tow Package, Wheels: 18' Chrome-Like PVD, XLT Chrome Appearance Package. Priced below KBB Fair Purchase Price! Odometer is 17657 miles below market average! 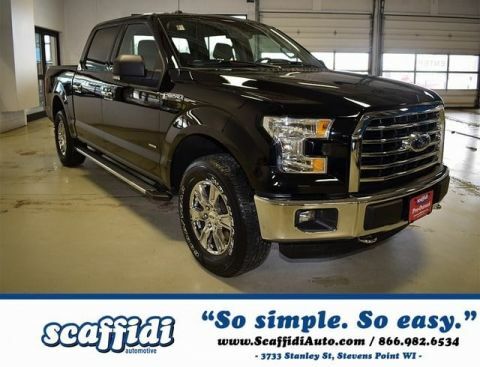 Tuxedo Black Metallic 2015 Ford F-150 XLT 4D SuperCrew 4WD 6-Speed Automatic Electronic 2.7L V6 EcoBoost Ford Certified Pre-Owned Details: * Roadside Assistance * Powertrain Limited Warranty: 84 Month/100,000 Mile (whichever comes first) from original in-service date * Includes Rental Car and Trip Interruption Reimbursement * Warranty Deductible: $100 * Vehicle History * Transferable Warranty * Limited Warranty: 12 Month/12,000 Mile (whichever comes first) after new car warranty expires or from certified purchase date * 172 Point Inspection Awards: * Green Car Journal 2015 Green Car Technology Award * NACTOY 2015 North American Truck of the Year * 2015 KBB.com Brand Image Awards Based on 2017 EPA mileage ratings. Use for comparison purposes only. Your mileage will vary depending on how you drive and maintain your vehicle, driving conditions and other factors. 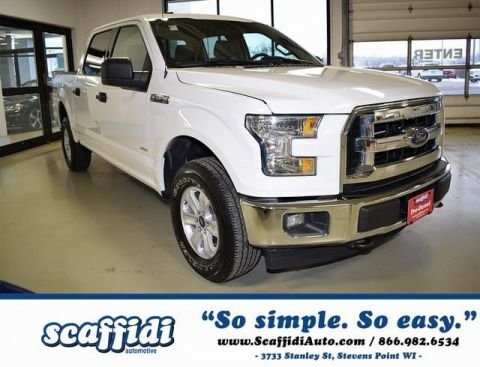 At Scaffidi We make Car buying easy, and take the guess work out of car buying. Knowing the car buying process has traditionally been stressful, we are committed to changing that perception. We'll take the time to get to know you and understand your automotive needs. 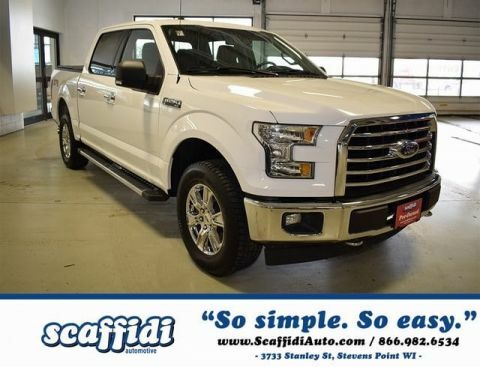 We want to help you buy a car, not sell you a car, at Scaffidi you are in control.